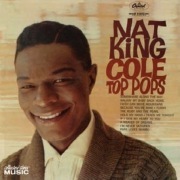 The first album length compilation of Nat pop vocals collects A and B side material alike. Paramount among the many lovely songs to my ears are The Ruby And The Pearl and Walkin' My Baby Back Home. On the other hand I don't happen to be a big fan of Because You're Mine or Faith Can Move Mountains. This comp (of tracks previously available in 45 r.p.m. single and 78 r.p.m. record forms) was issued as a 10" LP album, a set of 45 r.p.m. 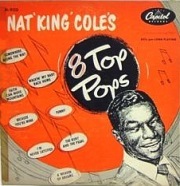 singles, and a set of EPs in 1952, and again in expanded 12" LP form in 1955 as a part of Capitol's transition from 10" to 12" LPs.